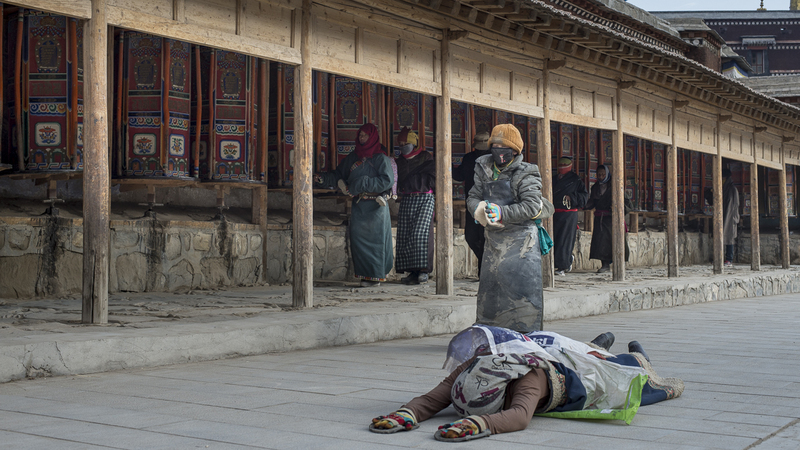 A prostration is a gesture in Buddhist practice that shows reverence to the three jewels of the Buddha, the Dharma and the Sangha. The pilgrims believe that traveling a distance by dropping their body to the ground and stretching its full length before pulling oneself up, with hands in lotus bud position, gains them merit (karma) and cleanses the heart mind. It is a horizontalising of the mast of the ego. In February 2016 I traveled to the Amdo region of Tibet for the great prayer festival of Monlam. 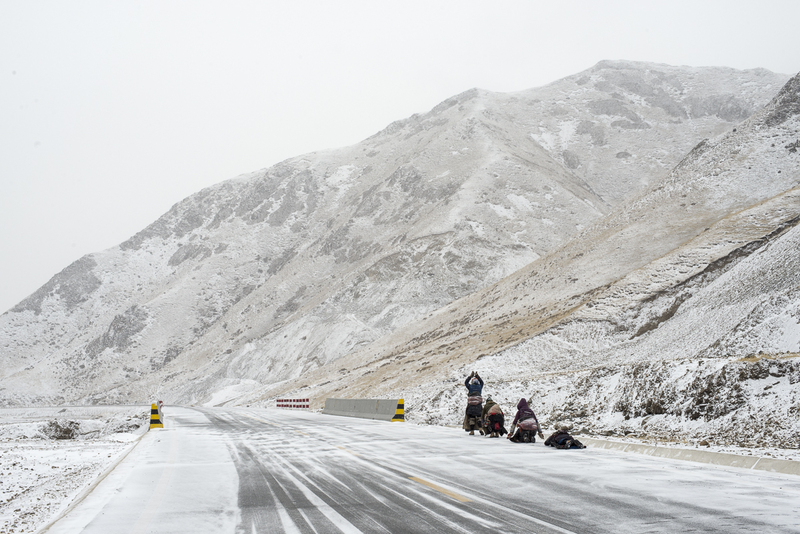 Thousands of pilgrims traveled across the country to join in the festival, often prostrating their way through the cold winter month. The pilgrims usually travel with leather pads on their hands and knees, sometimes attached to wooden blocks, and a heavy apron to protect them against the snow and cold. 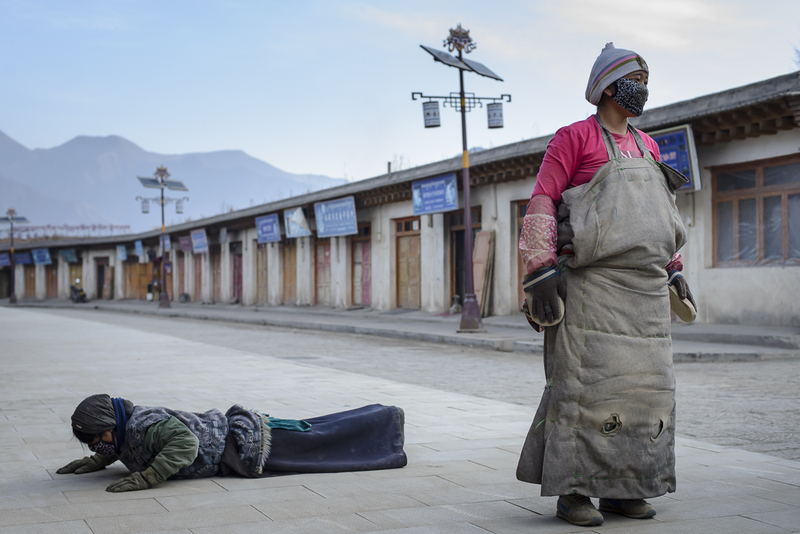 The Tibetan word for prostration is “chag tsal” which literally means sweeping or cleaning all the dirt from one’s house. So prostration is the cleaning, purifying all the negative karma of past lives and present life, from one’s physical, mental and spiritual home; body, speech and mind. 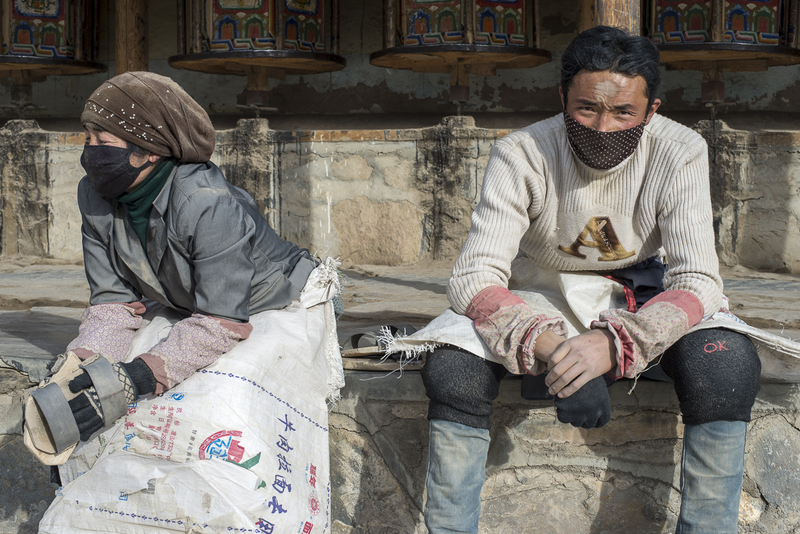 The women in the picture below were actually leaving Labrang for Lhasa, a journey that would take them several months.